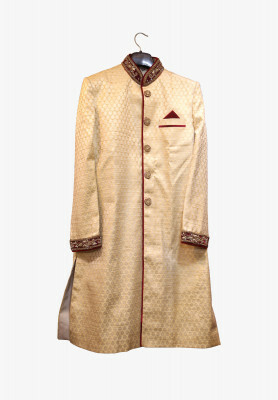 "Rajsthani wedding Sherwani for groom, made of Katan fabric. 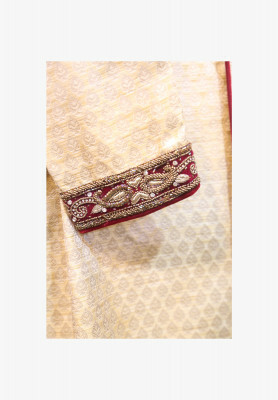 Rich Karchupi work on golden body and maroon sleeves and maroon collar. Buttons have designs too. 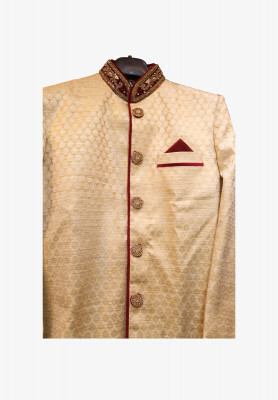 Best choice for attending receptions".